To view this webinar, please fill out the form to register and become a Automotive IQ member. Or, if you're already a Automotive IQ member, sign in below to view. AUTOSAR guidelines are a smart choice for C++ developers. And it’s now easier to use them to achieve functional safety compliance, particularly with ISO 26262. Every line of code in a vehicle needs to be safe, secure, and reliable. That’s why static code analysis experts from Perforce (formerly PRQA) were invited to join the working group for AUTOSAR’s “Guidelines for the use of the C++14 language in critical and safety-related systems”. Join us to get insight into the guidelines. Why AUTOSAR guidelines were developed — and the philosophy behind them. How the rules changed in the latest version — including mapping to ISO 26262. What’s next for AUTOSAR guidelines — hint: being merged into MISRA C++. 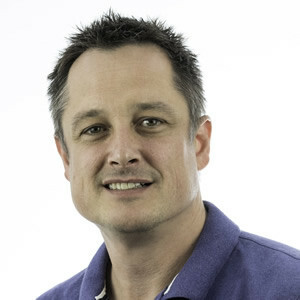 Richard Corden is a Lead Software Developer for Helix QAC at Perforce. Richard has been developing static analyzers for C and C++ for 20 years. Over this time, he’s been involved in developing of coding standards and he’s a co-author of MISRA C++ 2008 and High Integrity C++ from Perforce (formerly PRQA). Richard is also a member of the MISRA C++ and ISO C++ Committees.